At some unspecified point during the 1990’s something quite seismic took hold within Automobiles Peugeot. A profound cultural shift which saw a gradual jettisoning of not only the marque’s highly regarded engineering principles but also its reputation for dignified styling. Their long-standing association with carrozzeria Pininfarina was unravelling. PSA President, Jacques Calvet, believed to have been irked by the attention Patrick le Quément’s Billancourt studios were receiving, pressed Peugeot Style Centre chief, Gérard Welter for more visual excitement; a move which saw Welter poach rising star Murat Günak from Mercedes-Benz in 1994. In October 1996, veteran auto journalist Peter Robinson observed, “The intricacies of the politics involved in designing Peugeots are understood by few outsiders. Not many insiders either. It’s been a minefield of intrigue led by [Jacques] Calvet, a man with a reputation for demanding innovation and creativity but when it’s decision time, of selecting conservatism.” Robinson hailed Günak’s appointment as a loosening of the straitjacket of conservatism, but like all baby and bathwater reinventions, it would ultimately come with a screaming nursery of unforeseen consequences. Pininfarina’s loss of influence was arrived at gradually. The 405 of 1987 was the last full model programme the Italian correzzeria was given responsibility for. Mind you, if its 1996 successor was an in-house job, Welter’s styling team channelled their former mentors to a tee, because as impersonations go the 406 was note-perfect Pininfarina. By way of compensation perhaps, the 406 Coupé was offered to the Italians, who seeing their influence diminish, went the extra kilometre for their long-standing clients and produced a masterpiece. In fact, so good was Pininfarina’s work that most commentators refused to believe anything this comely could have been expressly created for lowly Peugeot, suggesting it had been a rejected Ferrari proposal. This was latterly dismissed by Paolo Pininfarina, who told Autocar; “If you go back and look at the 504 coupé or convertible then you will see this shoulder line. 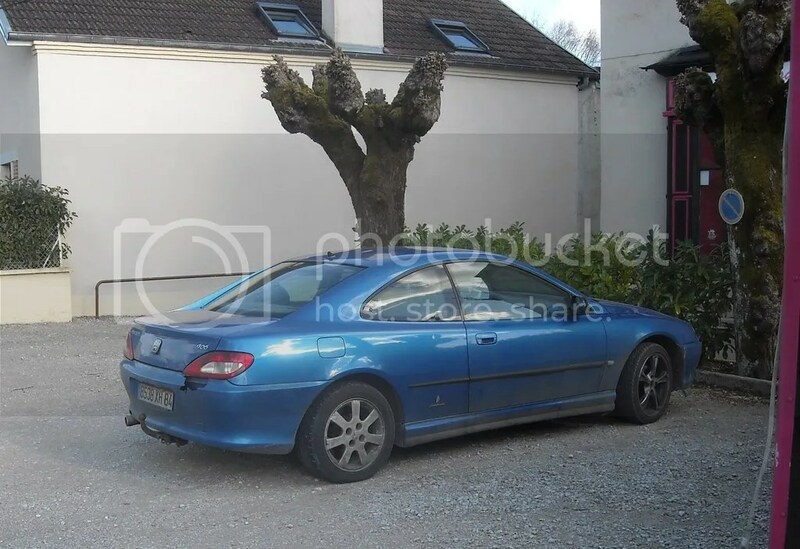 There’s a lot of good Peugeot design identity in the 406. I’d consider it at the level of a Fiat Spider 124. Almost timeless.” Other suggestions have it as a rejected proposal for the 1994 Coupé Fiat which lost out over Chris Bangle’s Centro Stile theme. But does it really matter when the result is this harmonious? It appears the Coupé was no shoe-horn into the 406 programme, with initial styling models being created in 1992 – the final mock up being finalised the following year. With a brief from Peugeot for a formal looking, durable shape, the fact that Lorenzo Ramaciotti’s styling team eschewed the Germanic sedan-based ideal and went for something more sensual is to their eternal credit. From its low nose and flush slimline headlamps to the hint of a c-pillar buttress, the Coupé was every inch the Sochaux glamour puss. Pininfarina was not only responsible for styling, but for all aspects of its development, proving and production engineering in addition to build and assembly. Despite sharing floorpan, crash structure, some mechanical components and dashboard architecture with the 406 saloon, the coupé was also predominantly bespoke. Build and painting took place at Pininfarina’s Grugliasco plant with final assembly at their San Giorgio Canavese facility. Launched in 2.0 litre (135 bhp) or 3.0 litre (194 bhp) form at the 1996 Paris motor show, with first deliveries taking place in early ’97, the 406 Coupé proved something of a sensation, winning several design awards and the hearts of jaded auto journalists. Modifications were relatively few. Around 2001, a 2.2 litre (160 bhp) petrol engine, and a 2.2 litre (136 bhp) HDi diesel engine was made available to supplement an enhanced V6 model. Apart from minor trim changes, the car continued largely unmolested until 2003 when production was wound down. According to records from Pininfarina, 107,633 Coupés were made, with some 10, 709 imported to the UK. Pininfarina were given a final throw of the dice with a revised series two 406 saloon/estate which debuted in 1999. But at Peugeot’s design studio, the incumbent tailored style was already being replaced by a visual aesthetic that was as artistically gormless as it was disposable. Three years after the 406 was discontinued, the 407 Coupé broke cover and for those mildly traumatised by its saloon execution, sedatives would henceforth be required. By this point it was strikingly clear that Peugeot had jettisoned more than a decades-honed incremental style at the altar of the ephemeral. It has taken the Lion a further decade to claw things back but frankly, they still have some way to go before the word beauty can preface the Peugeot nameplate once again. I remember being stopped in my tracks the first time I saw a 406 Coupe in person. The saloon was handsome but the coupe was outright beautiful. I’ve never owned one, but I experienced a few saloons and they were very fine cars indeed, the ride comfort being particularly memorable. Almost impossible to believe how far and how fast Peugeot fell, did they launch anything after the 406 that wasn’t dreadful by every metric? The original 406 coupe still looks pretty. Overall, one of the most nicely resolved shapes, with few if any bad angles. Nothing “shouty”, just subtle elegance. It’s older relative, the 504 V6 coupe still looks pretty as well. “mind bleach”: phrase of the day. I’ll have to use that one in conversation. There’s none more poignant an example of brand suicide than Peugeot’s ‘modernisation’ 15 years ago – although there are similarities with what Dr Zee & Gorden (sic) are doing at Mercedes-Benz. Putting the 407 coupé next to the 406 would have a similar effect as having a W124 coupé and the current E-class two-door side-by-side – the difference being, of course, that Peugeot experienced such a sea change within a few years, whereas Mercedes’ fall from grace was of a more gradual kind. The 406 coupé was and still is a thing of satisfying beauty, a high point in the histories of Peugeot and Pininfarina. Mind you, as with all perfect creations, the alterations brought about by its facelift didn’t do it any favours whatsoever (there was a hint of a shark grille added to its delicate frontal aspect), but that was all but forgotten once the utterly misbegotten 407 had reared its ugly head. One man that needs to be mentioned in the context of the 406 coupé though is Davide Arcangeli, who penned its exterior – and, incidentally, the BMW E60 Five series’ too. While writing this, I was unable to find trustworthy confirmation of Arcangeli’s contribution, but having just been reunited with my archive I can confirm that it was indeed he – (sadly taken from us far too early) – who was responsible for the Coupe’s exquisite lines. Chris: I can’t say I ever found any visual satisfaction in the RCZ – of any vintage. Too bloated, too derivative – (it couldn’t seem to decide if it wanted to be a TT or a Karmann Ghia) and too pointless. It’s probably likely that given the prevailing winds back then, Peugeot would have had to change stylistic direction at some point – after all everybody else was at the time. Perhaps unfettered, in a post-Calvet PSA – (he departed in 1997), Gerard Welter was finally allowed to indulge his hitherto latent styling fantasies. Whoever was responsible really ought to be serving time designing cupholders or similar. Eóin: the RCZ is a polariser, granted. I regularly see two examples on my road and my eyes often linger upon them. I stand by my assessment that the RCZ is the Sandra Bernhard of cars. It’s obviously very striking. For my money the Peugeot RCZ is a terrific looking car, especially after the facelift junked the Ugly Betty grille. But beautiful? No chance. That said, the RCZ is a highlight in what has been a desperate time for Peugeot styling. When pundits refer to your styling direction as “creatures from the deep”, you know something has gone seriously wrong. Peugeot faced a choice at the turn of the 1990’s: push up market, or down. They chose down. Strange to remember it now, but sales across Peugeot’s post-Pininfarina range were stellar, the spritely 206 being a smash hit that shifted some 600,000 units a year and the 307, not as handsome a car as the 306 but bigger and much nicer inside, enjoying more than 400,000 sales a year. But the marque’s reputation for quality was tanking, and a series of cheapened and ugly replacements (207, 308, 407) saw sales dwindle to the point that the company required state intervention to avoid bankruptcy. More products like the new 3008 might see the company retrieve its reputation from the bottom of the chum bucket, but the world has moved on. Nobody needs Peugeot now. Nobody needs Peugeot now? While I don’t much like their recent efforts, there’s much to like about Peugeot if Peugeot can remember what it is. Funnily, Peugeot claimed to want to improve their brand position but executed it the wrong way, placing faith in misjudged styling rather than solid engineering and actual bolts-and-joints quality. I would stand by that statement, absolutely. What is Peugeot’s USP now? They are not as well built as rivals, nor as stylish, well equipped, comfortable or as good to drive. Who are their target customers? The wilfully kamikaze, or the blind? I must side with Chris. Richard seems to want Peugeot to be able to make people want them, which is just too many wants for me. Peugeot were largely the architects of their own fate, being exemplars of the maxim that a good reputation is hard to forge and easy to lose. They pissed away decades of work by thoughtful engineers and managers in a few short years. Should I feel sorry for them? Not when I look at a 407 or last generation 308. It’s even sadder when I realise that many (informed) people think highly of the 3008 in a “I Can’t Believe It’s A Pug” sort of way. Two years ago, “carred-out” post-Geneva, I detoured home by the Doubs département to fulfil a long-held wish to visit Claude-Nicolas Ledoux’s extraordinary Saline Royale in Arc-et-Senans. Perhaps not so surprising given that Sochaux is in the north east of the département. I formulated a (completely unfounded) notion that Peugeot offered good deals on the coupes to retirees, at the same time fulfilling their contractual obligations to Pininfarina. It is a fine looking car, and I’d put in a good word for the 407 coupe too. The man who sits at the next desk to me has just parted with his, a 3.0 petrol V6 bought cheaply at auction six years ago. It has probably cost its purchase price in repairs alone in most of the years he has owned it, or, possibly, it has owned him. The £500 per year road tax was the last straw. The trade-in allowance was one and a half times that. I suspect that’s what finished off poor Arnold Clark. I, too, vividly remember the first time I ever saw a 406 Coupe in the metal, and it was a neck-snapping moment. I was on the lookout for them after having seen them extensively in CAR, and it didn’t disappoint. All these years later, it is still a stunner – age has not wearied them. The only jarring note I never quite got to grips with, at least externally, was the carry-over doorhandles from the saloon, which always felt a bit scabby on the otherwise-pristine bodywork. Would it really have been that hard to tool up a more fitting set? The colours for this car were beautifully judged too. All the press demonstrators seemed to be in that misty green which suited it down to the ground, but it wasn’t the only colour that did the shape justice. I’m not an especially great fan of yellow, especially on larger cars, but shortly after they launched a yellow example appeared just up the road from my house, so I had the chance to study it in detail on a regular basis. Needless to say, it worked for me. I was beyond distressed when the owner replaced it with, of all things, a factory-fresh 607.